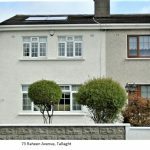 Replacement Windows are designed for Irish homes. Currently the most popular material for making windows is uPVC. This is because it is a low cost product and environmentally friendly. It is energy efficient and a non-conductor. PVC is non-conductive so the heat loss through the frames is minimal. It’s just a fantastic insulator. 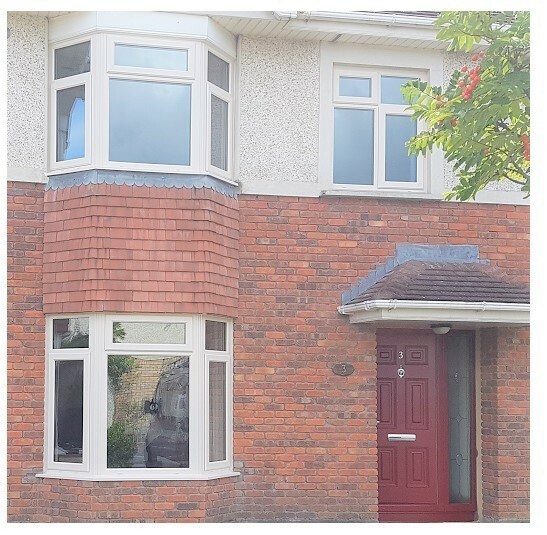 Whether you are looking to have double-glazed or triple glazed windows, PVC is the way to go. When it comes to conservation of energy, a window frame plays a very important role. 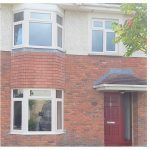 PVC replacement windows frames are known to be better at energy conservation than aluminium or wooden ones. Using pvc frames gives you an advantage when it comes to energy costs. When replacing windows, you need to think of the cost as well as the benefits associated with the materials. PVC is available at a cost effective price when compared to other materials. Aluminium and wood will cost up to thirty percent more, especially if the windows have to be custom made. When you compare options, PVC replacement windows comes out best. PVC windows are quite easy to maintain compared to other types of windows. Wooden window frames need to be glazed and painted after every 5 years. PVC is able to withstand harsh weather conditions without showing major effects. All you need to clean PVC replacement windows is a soft sponge or cloth. Any window cleaning solution that you can purchase in the supermarket is sufficient. When replacing windows, it is important to use materials which are known for their ability to last long. PVC is known for its great durability that allows it to last for a long period of time. PVC double glazed windows are able to withstand distortion for a long period of time. During the manufacturing stage steel is inserted into the chamber of the outer frame to enhance the strength. One of the good qualities of PVC comes from the fact that it can be easily recycled. This means that there is a good eco-balance which helps in ensuring that the environment is protected from any serious damage. The windows last longer than wooden windows. They also need lesser energy when being manufactured and this is a positive for the environment. 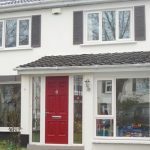 If you are considering new replacement windows for your house there are numerous options available on the market today. It’s a good idea to do your due diligence and research thoroughly before moving forward with a purchase. There are different window materials to choose from. These including aluminium, steel, wood, and of uPVC. 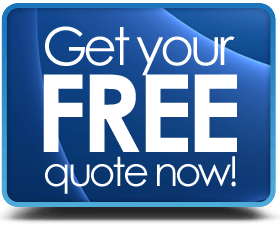 Since it may be difficult to arrive at the best decision, the help of a reputable home improvement company can be invaluable. While interior comfort and convenience for your family is important, maintaining an optimal indoor temperature and environment costs a lot. 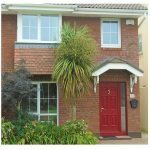 With the help of advancements in window technology, you and other homeowners in Ireland can benefit from what replacement windows provide. High-performance replacement windows with modern glazing technologies reduce energy costs and boost indoor comfort. Old windows easily transmit the cold winter outdoor temperature inside, making the indoors colder. Low solar heat gain glass in replacement windows also keeps most of the summer heat out, boosting indoor comfort for your family. Efficient replacement windows deliver winter and summer thermal comfort. If you live in Dublin city, these windows will reduce the street noise, allowing you to live in peace at all hours of the day. People mostly fail to know the significance of putting in new windows in their houses. Many believe there is little difference between older windows and one that is newly manufactured. However, the fact is that a lot of technological advances have taken place in recent years, and window manufacturing is no different. The newer windows now make your house safer, more energy efficient, and can enhance the look and feel of your home. Most people even prefer installing new windows to houses as they significantly increase the value of the property. Here are the benefits of replacement windows, condensation, insulation. Provide Better Insulation. Gaps and spaces that are found in old wooden and glass windows tend to let in cold or warm air at times when it is not wanted. The new generation windows are designed to keep outside temperatures from interfering with your home or business. They are created using special glass and frames that minimize the amount of cold or hot air coming into your house. Perhaps you are wondering why your house or business cannot stay warm or cool despite using an air conditioner. Well, perhaps you should check your windows. Old wood and single pane windows let in cold temperatures or extremely hot temperatures from the outside because they do not have any insulating properties. Modern replacement windows, however, are designed to ensure maximum insulation and protection from extreme weather conditions such as rain and snow storms. So to ensure you avoid spending too much to keep your house warm or cold, try installing new windows that will do the job for free. Enhanced Security. Installing new windows doesn’t involve changing the glass alone; it also consists of changing the frame and locks in the window. So, if you live in an insecure environment, you should consider changing your windows to minimize possible break-ins in your home. Simple changes such as installing strong glass windows, securing your window frame, using better burglar proof locks and securing the window with metal bars can ensure your house or business is secure from any attacks. You would be amazed by exactly how much replacement windows can change the perspective of the property. Straightforward changes, for example, expanding the window size to give the house a superior view or utilizing delightful glass material to give the house a superior look can be the distinction a decent cost and an extraordinary cost for your property.